Italian physician and philosopher, Santorio Santorio is reputed the father of experimental physiology. His studies on metabolism, temperature, pulse and diagnosis would have constituted one of the most influential landmarks in the European medicine until the eighteenth century. 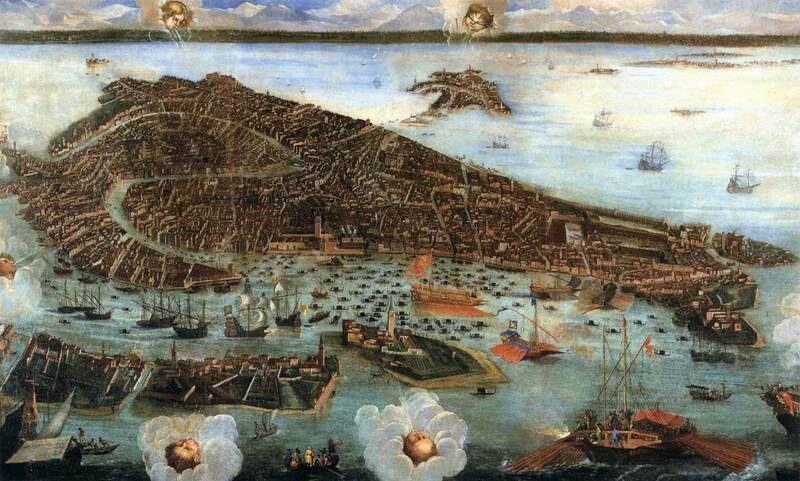 Santorio was born the 29 March 1561 in Capodistria, today Koper in Slovenia, a city then under the protection of the Serenessima Republic of Venice. He studied Medicine, Mathematic and Philosophy in Padua where he would have also been appointed, as a professor of theoretical medicine, from 1611 to 1624. From 1582 to 1599 Santorio travelled extensively in Poland and Croatia where he begun his experiments on the so-called insensible perspiration of the body, an insensible loss of water-steam from the pores of the skin as well as from the respiratory tracts, meant to regulate the dynamic of metabolism. Although in the previous centuries many attempts had been done to properly evaluate biological phenomena, before Santorio the medical quantification was believed impossible. Despite of this bias and in order to study the insensible perspiration, Santorio invented and built many instruments, among which was a steelyard-chair meant to weight himself and his patients. He kept experimenting for more than thirty years and eventually published the results in 1614 in the work Ars de statica medicina or «Medical statics» which is the first work of western medicine to show and apply quantification and experimental procedure. Alike his friend Galileo Galilei, Santorio interest for quantification covered a variety of aspects, from medicine to physics. By using a principle already known to Heron of Alexandria, Santorio invented the first thermometer and the first pulsimeter, or pulsilogium, as well as many types of hygrometers and anemometers that he described in the work Commentaria in Primam Fen primi libri Canonis Avicenna (published in Venice in 1625). In order to relieve the pain of patients he also invented many medical devices, among which was also the first equipped-bed, for patients in need of long-term care. Santorio died in Venice the 22 February 1636 at the age of 74. After his dead his legacy would have been carried on by many physicians and scientist of the seventeenth and eighteenth century. Among them there also would have been Antoine Antoine Lavoisier, the father of chemistry, who, acknowledging and recovering the studies of Santorio, would have done a further step toward the comprehension of metabolic processes.